There are over 29,000 veterinary clinics in the U.S., making up over 300,000 jobs and employing, on average, ten employees. As an industry largely made up of small employers, it can be difficult to compete with larger businesses – and larger budgets – for top talent. As such, veterinary clinics look to benefits to help attract and retain key veterinary staff. Benefits commonly include health insurance, recruiting and retention programs. Particularly in the case of health insurance, the landscape is rapidly changing. The passage of the Affordable Care Act opened up new and affordable options for veterinary clinics wishing to provide health benefits to their employees. The sections outlined on our left sidebar provide solutions and insight to the common business management challenges faced by veterinary clinics around the United States. There are a number of challenges associated with owning a small veterinary clinic, from constant demands on the owner’s time to never-ending budget constraints. There are, however, commonalities in the obstacles faced by small businesses. Understanding the expected pitfalls can shorten the learning curve in business management and operation. Three big challenges for small clinics are healthcare costs, employee recruitment and retention, and attracting new customers. All three areas can be a tremendous burden on a veterinarian’s time and budget. Many small and medium veterinary clinics can’t offer group health insurance coverage due to rising costs and restrictive minimum contribution and participation requirements. Following the passage of the Affordable Care Act, individuals now have an unprecedented number of options for health insurance that all meet a minimum standard of quality and coverage. Veterinary clinic employees can now get health insurance through their employer’s group plan, or get reimbursed by their employer for the cost of their individual plans. These new options mean that employers can provide their employees with high quality health insurance while controlling the cost of the benefit. Recruiting and retaining top employees is another major concern facing small veterinary clinics. With the preferences of the workforce becoming more diverse and dynamic, employers are in need of a more personalized approach to retain their employees. A common challenge for small vet clinics when hiring is deciding between offering higher wages for more competitive prospects or lower wages for a lower, but more secure, skill set. Veterinary clinics shouldn’t feel like they are at a disadvantage when recruiting new employees. Small veterinary clinics can competitively recruit employees by using employee referrals, adding a career site to their webpage, advertising on online job boards, recruiting interns, and using social media to recruit employees. An outstanding retention program can also give an edge to veterinary clinics looking to hire. 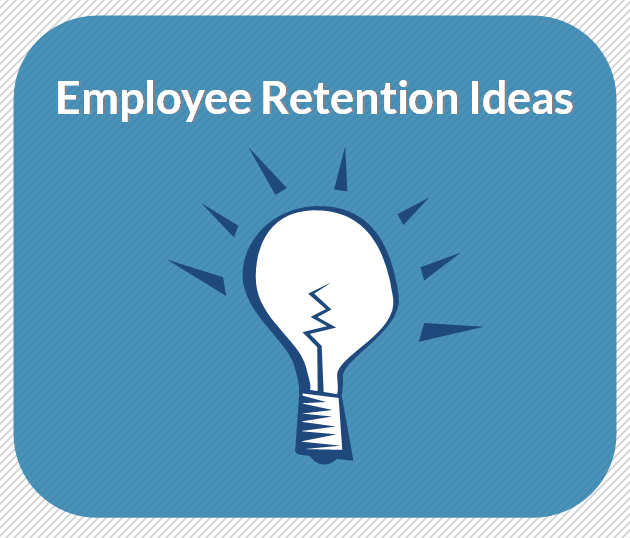 Employee retention strategies include creating a high-feedback environment, customizing benefits strategically, and boosting employee morale. Finding new customers presents more of a challenge to small veterinary clinics because they generally do not have the astronomical budgets that larger animal hospitals do. This can present a challenge when trying to compete with larger facilities' advertising and marketing strategies. There exist a number of strategies for small businesses to attract new customers include online marketing, search engine optimization, email marketing, and social media outreach. It is vital for small vet clinics to have a deep understanding of what customers really want and educate customers on everything their small business has to offer. Just like larger veterinary hospitals, small vet clinics face HR challenges that come along with hiring the right a team, creating and maintaining a company culture, and complying with ever-changing laws and regulations. HR requirements for small veterinary clinics include abiding by all applicable regulations and maintaining an appealing and competitive office culture. It may sound like a given to stay up to date and timely with payroll, but many small veterinary clinics struggle to make payroll on time because of time constraints or disorganization. Stay organized with payroll systems and make sure to hand out paychecks on a consistent basis, at the same time each period. Timesheets can help keep track of vacations and sick time, and there are several online management programs that help small businesses stay organized, and be prepared for tax-time. An employee manual explains a veterinary clinic's policies and procedures, and communicates expectations to employees. It also helps protect the clinic in the event of a dispute. Being an "Employer of Choice" means that candidates are eager to work for the business, that people look up to current employees, that the clinic receives unsolicited resumes, and that the most talented employees stay with the business throughout their careers. It's a coveted status. It signals the vet clinic's brand is top-notch. And, when a brand is reputable, it's much less expensive to recruit and retain key employees. Any veterinary clinic can become an Employer of Choice. It's not just reserved for the big dogs. In fact, where small businesses may lack resources, they make up by having a unique, tight-knit, and "I can make a difference here" culture. Ways small vet clinics can build a unique culture is to focus on company identity, recruiting and hiring, offering the right benefits, offering challenging and interesting work with opportunity for advancement, and recognizing employees. For many veterinarians running their own clinic, the Affordable Care Act can feel like a moving target. However, for businesses with under 50 employees, the options for small group health insurance are clearer. If the veterinary clinics would like to contribute to employee's premium expenses, they can use defined contribution allowances to reimburse employees for the unsubsidized portion of their premium. And, premium reimbursement allowances can be set based on job description (e.g. $200/month to managers and $100/month to entry-level). For many vet clinics, this is the most cost-effective solution because the clinic can contribute any amount they desire and individual health insurance costs are, on average, less than small group plans. 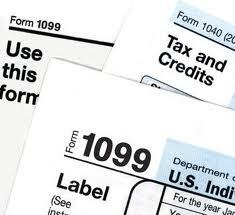 For eligible vet clinics, the SHOP Marketplace gives access to the small business tax credits which as of 2014 are only available through the SHOP. With a private exchange the veterinary clinic gives employees a set contribution to use towards a menu of plan options. The plan options can be individual- or group-based. Private exchanges are a type of “defined contribution” strategy. Purchasing a private small group plan is also an option for vet clinics. Clinics may find more options and carriers to choose from on the private market as compared to the SHOP, where some states only have one or two plans to choose from. Group health insurance is largely broken for employers and employees. The lack of portability, rising costs, and existing alternatives are all contributing to the mass abandonment of traditional group health insurance. Individual health insurance with premium reimbursement or private exchanges paired with individual health insurance are the future of small business health insurance -- and are the best options for all small veterinary clinics. Good hires is key to the success of any company. This is true for mom-and-pop shops, start-ups, and small veterinary clinics... as well as Fortune 500 companies. But finding and hiring the right employee can be tough. Small veterinary clinics are often faced with limited time and resources, and need to make each new hire count. According to a hiring survey by CareerXroads, here are the top ways veterinary clinics can recruit and hire employees. According to the hiring survey, 18% of candidates are referred by an online job board. Small veterinary clinics can use free job boards such as Craigslist.com and/or job board aggregator sites such as SimplyHired.com and Indeed.com. 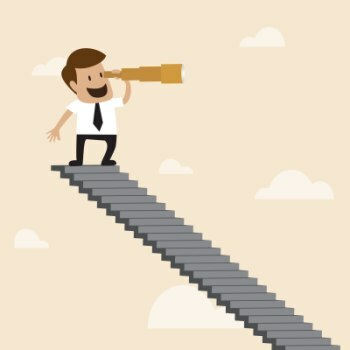 Businesses can also post paid job descriptions to general boards such as Monster.com, CarreerBuilder.com, and GlassDoor.com, and to local or regional job boards and newspapers. College candidates (recruits from college or within 0-2 years of graduation) represent 5% of recruits. Businesses, including vet clinics, have long relied on university recruiting programs to fill entry-level positions and gain access to workers with up-to-date skills. Plus, small businesses offer recent college grads something that many large companies cannot -- opportunity for fast growth and entrepreneurship. Internships are another way to get fresh talent in the door. While social media is still a small percentage of how candidates say they heard about a job (3%), it is a growing strategy for veterinary clinics. As more job seekers use social media and mobile devices to look for work, vet clinics are using social media as a low-cost way to recruit, source, and interview candidates. For a business to thrive in today’s economy, finding and retaining the best employees is important. This is especially true for small veterinary clinics competing with larger facilities, and larger budgets, for top talent. So how can a small vet clinic keep their employees from jumping ship? As our workforce becomes increasingly mobile, a well-thought out employee retention strategy becomes just as important as recruitment (if not more). While some turnover is inevitable, having an intentional employee retention strategy in place mitigates the turnover, and its costs, for a vet clinic. Do you know your veterinary clinic’s current employee retention rate? Before you start thinking about formal employee retention activities, calculate your employee retention rate and track it periodically, such as quarterly or bi-annually. Turnover of certain employees may be more costly than others, thus it is common to provide different levels of benefits to different classes of employees. This is routinely done by major corporations. For example, office managers are compensated differently than veterinarians. Because health benefits are such an important part of compensation and retention, why not provide health benefits that vary by class of employee? Veterinary clinics can do this with premium reimbursement allowances. As there are no minimum or maximum contribution requirements with premium reimbursement, a vet clinic can design their health benefits plan to fulfill their exact recruiting and retention needs. Evaluate the exit interview surveys and incorporate the feedback into your veterinary clinic’s employee retention strategies. As a veterinarian, you invest 100% of your physical, mental, and emotional energy into long days of assisting and treating animals - and that doesn’t include the side work of hiring, managing an office, and dealing with group health insurance for your veterinary clinic.Veterinary clinic health insurance is not only time consuming, but costly. As such, something is beginning to happen -- many veterinary clinics are switching to individual health insurance as a way to free up valuable time and money. >> Read more. A more ideal solution is for veterinary clinics and animal shelters to send their employees to the individual health insurance market. The clinic can still help their employees with their individual health insurance costs while remaining within the strict confines of their budget. >> Read more. Defined contribution is a popular health insurance solution for small to medium sized veterinarian clinics. This article looks at why vet clinics and animal clinics are quickly adopting defined contribution as a health insurance solution >> Read more.